Don't let anyone discourage you from travelling to Seoul alone – here's a one-stop guide on how to enjoy a solo trip in Korea! 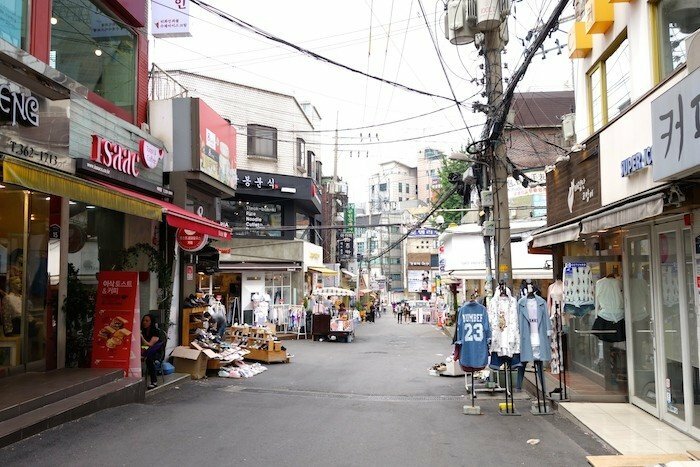 Planning a solo adventure to Seoul? And don’t know where to begin? You might have friends discouraging you from travelling to Seoul alone, but don’t listen to them! 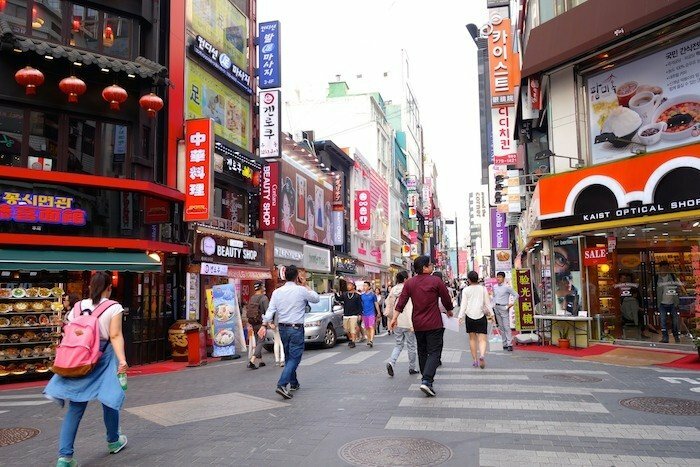 Contrary to Seoul’s reputation of not being very solo-traveller friendly – due to language barriers, difficulty in meeting other travellers or making friends with locals – you can have a smashing good time! 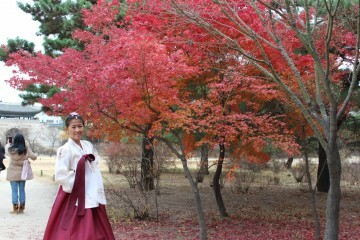 Korea has so much to offer, whether you are venturing there alone or with a companion! 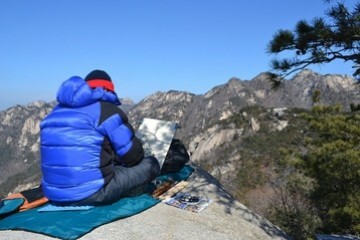 Here’re some tips on how to have an amazing solo trip in Seoul. 1. Embrace the language barrier! 뭐라구? (Mwo Ra Goo) What did you say? Ah, sometimes the hardest part about travelling to a foreign country would be your inability to speak the local language. Countless thoughts run through your mind – What if I get lost and no one understands me? How do I even order my food? First things first, don’t let this intimidate you! Embrace the differences! In Korea, the primary language is Korean (duh!). If you speak zero Korean, don’t panic. Before you head off exploring, screenshot pictures of places that you’re planning to visit, or take down their Korean names. Most Koreans are more than happy to point you in the right direction once you show them the picture or the Korean name of your desired location. Moreover, plenty of young Koreans can speak some English. Score! When it comes to ordering food, try to pick places with pictures on their menu. Saves you a lot of trouble explaining what you want or getting a shock of your life when your order comes. However, allowing yourself to be surprised once in a while won’t hurt. 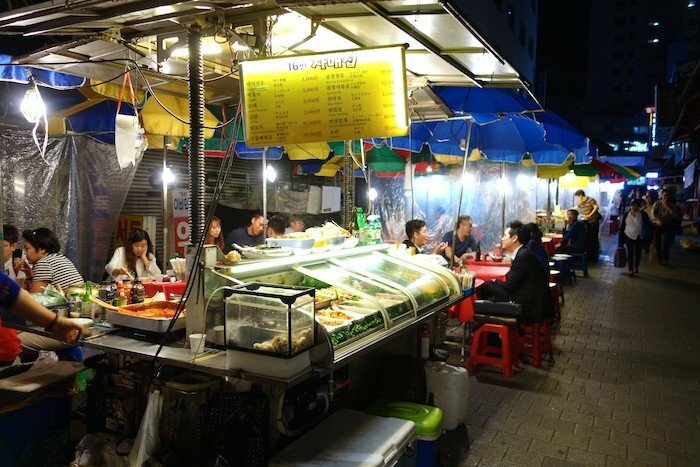 If you choose not to dine in restaurants or cafes, Seoul’s street-food stalls are even easier to navigate. Since you can mostly see what the stall is serving, it may be a safer option, not to mention cheaper! Tip 1: If you like to be totally prepared, you can also download an offline translation app on your phone. With Google Translate, for example, you can ‘star’ and save translations for future use, and download entire languages for offline use. In addition, there is an option for you to snap a photo of any Korean text (a Korean description of an item on a menu, for instance), and immediately obtain a translation! Tip 2: To add to your authentic Korean experience, do try to pick up some of the common Korean words and greetings! Locals take kindly to tourists who put in the effort to speak their language. Common words would be “Annyeong-ha-sae-yo” (‘Hello’ in Korean) and “Kam-sa-ham-ni-da” (‘Thank you’ in Korean’). Also, should you make friends with any Korean, a language lesson would make an engaging conversation! The thought of staying alone in a quiet and foreign hotel room can be daunting, and a little scary to say the least. To ease your trepidation, choose to stay in a hostel! 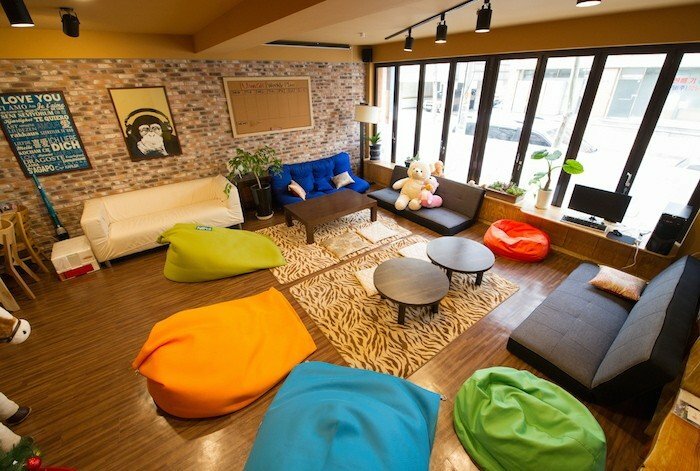 Hostels are considerably easier on the wallet, and a bed in dorm rooms starts from ₩ 16,000 (SGD 20) a night. In Seoul, you will find hostels clustered around subway stations, and in the areas surrounding universities. 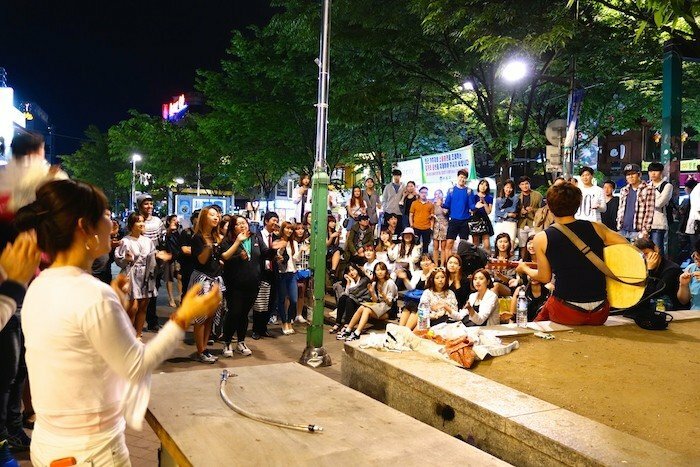 For the young, I recommend a stay at the lively district of Hongdae, especially if you love the nightlife! The atmosphere at Hongdae is buzzing, and shops stay open till the wee hours. For shopaholics, I recommend a stay at Myeongdong, Seoul’s most popular shopping district. Myeongdong is a heaven for the beauty enthusiasts, offering shop after shop of cosmetics, masks, and everything beauty-related. Staying in a dorm room not only ensures that you will not be sleeping alone, but also creates opportunities to make friends. The crucial moment is when you first step into the dorm room – don’t be afraid to strike up a conversation with your fellow bunkmates. Good topics to start with would be asking them where they are from, and how long they would be staying in Korea. You never know, you might just find yourself new travel companions for the rest of your visit! Tip 3: Hostels generally organise social events, such as weekly karaoke nights, and have comfortable common areas which are the perfect set-ups should you wish to seek company! Tip 4: Hype up your travel plans! Take the opportunity to get more travel tips from fellow travellers staying in the hostel. For example where to go, what to do and even insider hacks. You never know what valuable information you can get out of this that may make your trip in Seoul even more exciting than it started out to be. If you’re anxious about travelling alone, a good way to reduce this anxiety is to prepare a plan. This way, you’ll know exactly what to do and where to go, and you won’t feel so lost and worried. Not sure where to begin your planning? Check out the fun things to do in Seoul on your very first visit! Seoul is known to be a shopping haven, and no Korea trip is complete without a visit to Myeongdong, where you can find all the famous Korean cosmetic brands and more. If you’re a shopping fanatic, you can even shop all night in Dongdaemun, a mega shopping district where shops are open till four or five in the morning. 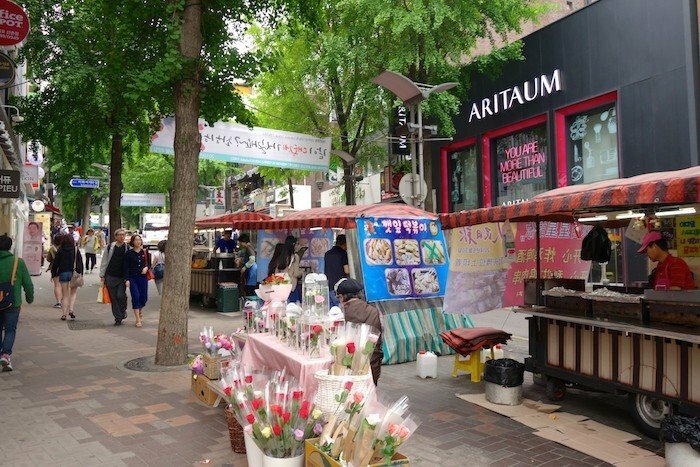 Once you’ve been to all the usual shopping places, head to the lesser-known shopping spots like Daehangno or Kondae. Tip 5: As Korea now offers immediate tax refunds upon purchases of goods from any duty-free shops, you have even more reason to shop! 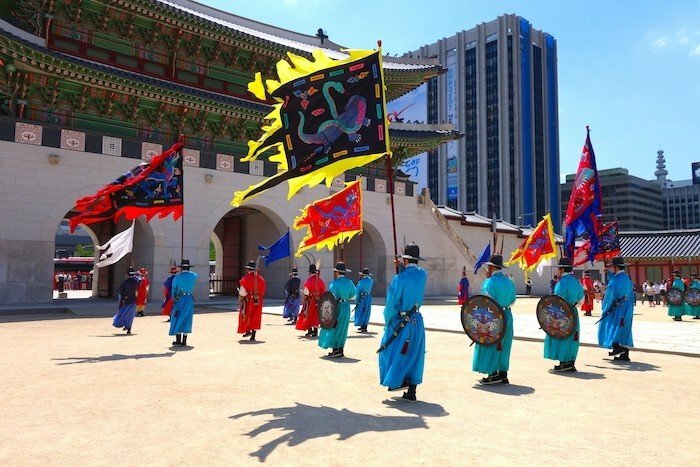 For culture buffs, check out the Gyeongbokgung Palace, where there is a daily changing of guards procession, and an opportunity for you to dress up as one of the palace guards for free! 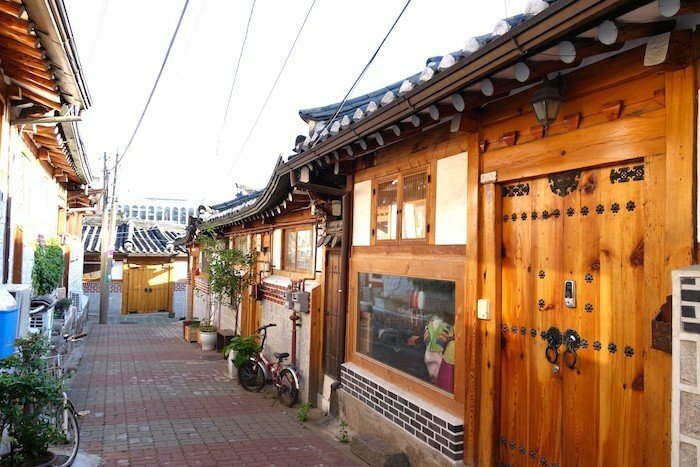 Take a trip back in time at the Bukchon Hanok Village as well, and wander through hundreds of traditional Korean houses. 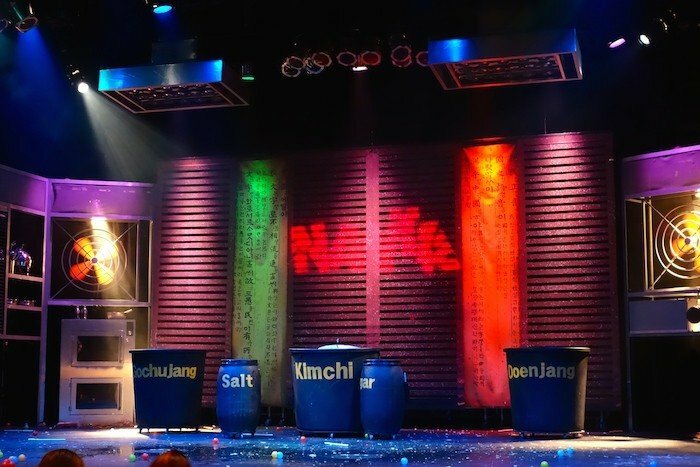 A nice way to spend an afternoon would be to catch the Nanta musical, a comedy reminiscent of ‘Stomp’, centering around a couple of cooks who create beats and rhythms with their cooking utensils. Best of all the musical is non-verbal, allowing tourists from around the globe to fully enjoy the musical. Visit the official Nanta musical website for more information and various ticket discounts. 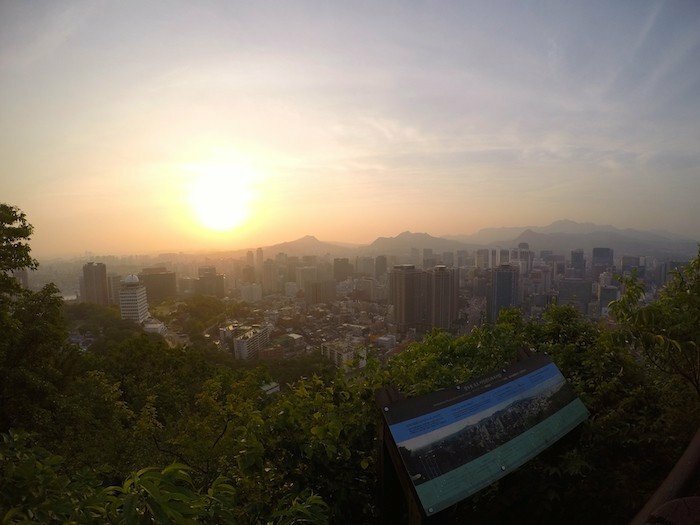 For a relaxing evening activity, take a hike up to the N Seoul Tower, and enjoy beautiful views along the way! 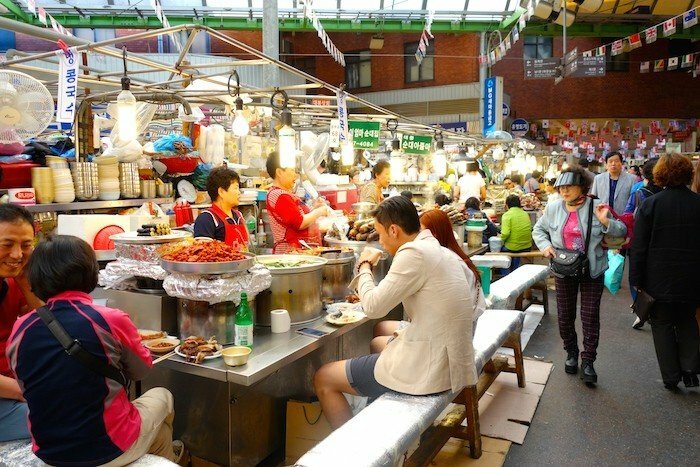 For food, head to one of Seoul’s local markets and sample their local cuisine. Have a satisfying meal at the Gwangjang Market, or the Noryangjin Fish Market, where you’ll find yourself dining alongside locals. While extensive planning may ease your mind, do leave room in your planned itinerary for spontaneity – there’s nothing better than following an insider tip from a local, or simply taking the afternoon to wander around the streets of Seoul without a specific goal in mind. 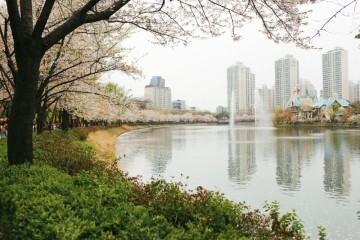 Tip 6: Download the “Visit Korea” app! Created by the Korean Tourism Organisation, the app offers information about tourist attractions, directions, and contains updated information about festivals and events. Also, the “Korea Subway” app is also good for planning your journeys on the subways and trains. Tip 7: Rent a Wi-Fi egg! With a Wi-Fi egg, you’re able to connect 5 devices on the go. Alternatively, get a Korean SIM Card to have Internet on the go! Order your SIM card online prior to your trip, and pick it up at the airport upon arrival. To make the most out of holidays, most travellers choose to wake up early, starting each day eager to discover the wonders of a stranger’s land. However, in Korea, there’s no need for that! Shops start opening only between 10.30am to 11am, perfect for a leisurely lie-in. Be prepared for late nights in Seoul – shops, restaurants and pubs here open until the wee hours of the morning. Dongdaemun, in particular, is open 24/7. Seoul, indeed, is a city that never sleeps. Tip 8: There’s lots of 24/7 karaoke pubs that dot the streets as well, with karaoke being an extremely popular activity among Koreans. So be wise – sleep in, stay up late, and take the opportunity to indulge in some ‘chimaek’ (Korean for chicken and beer – a tremendously popular combination) with some of your new-found friends! 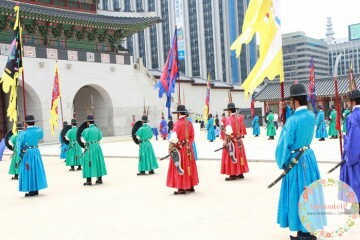 The group culture is rather prominent, and exceedingly prevalent in Korea. Everywhere you look, you’ll see couples decked out in couple wear – matching t-shirts, matching shoes – and students gathered together in chatty bunches. During my solo venture, I was approached by various tourists or locals that happen to speak English, all of whom expressed their surprise at how brave I was to travel alone to Korea. My answer to them, on top of a smile, was always – why not? Some say that company makes an experience, but it takes a certain kind of resolve (and in some parts, courage) to find solace in being content with your own company. Travelling solo pushes you outside of your comfort zone, forcing you to do things that you otherwise wouldn’t do back in the comforts of your hometown. One of the ultimate joys of solo travel is the golden opportunity to make friends with people from all around the world. Start with those that you meet in your hostel as mentioned above, and move on to approaching strangers on the street. A good way to strike up conversations with strangers would be to ask them to help you take a photo. One of the biggest grouses of solo travellers would be the lack of a companion to help them take photos, or to take photos with. This is especially so at touristic spots, where chances of running into another solo traveller would be higher. Take the initiative and approach another for assistance in photo-taking, offer to help them take one of their own, and who knows – you might have just found a lunch buddy for the day! So take a step out of your comfort zone, and don’t be afraid to try something new. The best thing about travelling solo would be the freedom you have to plan your own itinerary – you will be able to go wherever you want, whenever you want. Surprise yourself! Soon, you’ll find that you’re far more capable of doing things that you never thought you’d be doing, and discover things about yourself that you previously never knew. Plan your next solo adventure to Seoul today!